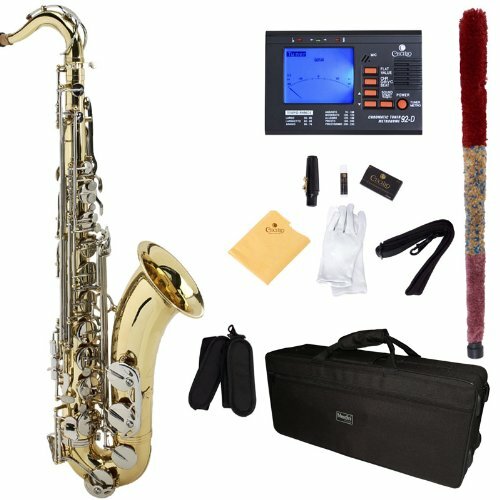 Teacher approved, Mendini saxophones are the perfect instruments for the student musicians and a great addition to any level players. This beauty has a gold lacquered body with nickel plated keys Bb with high F# key. Each instrument is assembled with over 300 hand crafted parts that are all made exclusively by Cecilio. There are no off the shelf parts. Every saxophone is play tested at Cecilio’s factory and re-tested at the Los Angeles distribution center to ensure the highest quality standards are met. 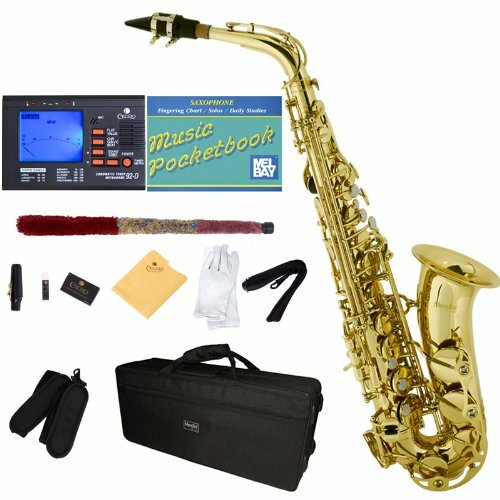 The Cecilio 92D nickel plated key saxophone package includes a plush lined nylon covered hard case with a backpack strap and zippered pocket, a neck strap, a mouthpiece with reed and cap, a box of ten reeds (size 2.5″), a polishing cloth, cleaning rod, and a pair of white gloves to keep your instrument spot free. Buy with confidence as it comes with a one year warranty against any manufacturer’s defects.